Let us take Jesus and the apostle Paul as our examples and act like they did when they were confronted with severe criticism. They never allowed these things to hinder or stop them from following God’s call. Their allegiance and faithfulness were to God alone and were independent from whatever others said. With their total focus fixed on the goal set before them, they were able to endure until the end and fulfill their calling. The best we can do when we receive criticism is to look at it objectively. If the accusations are simply empty talk, we should dismiss them and by God’s grace go on with our life. On the other hand, if there is any truth in the criticism, let us be willing to change, improve and grow in that area. Excerpt from Chapter 13 of Reflecting His Image (ISBN 978159589005X) © 2004 by KP Yohannan, the president and founder of Gospel for Asia. This entry was posted in Reflecting His Image and tagged Christian-living, Christianity, Deeper-life, Discipleship, Dr. KP Yohannan, gfa, Gospel for Asia, Jesus, K.P. Yohannan, KP Yohannan, Spirituality on March 25, 2014 by gfaseo. 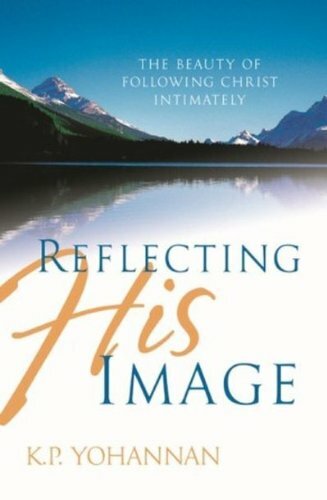 Excerpt from Chapter 8 of Reflecting His Image (ISBN 978159589005X) © 2004 by KP Yohannan, the president and founder of Gospel for Asia. This entry was posted in Reflecting His Image and tagged Christian-living, Christianity, Deeper-life, Discipleship, Dr. KP Yohannan, gfa, Gospel for Asia, Jesus, K.P. Yohannan, KP Yohannan, Spirituality on March 4, 2014 by gfaseo.